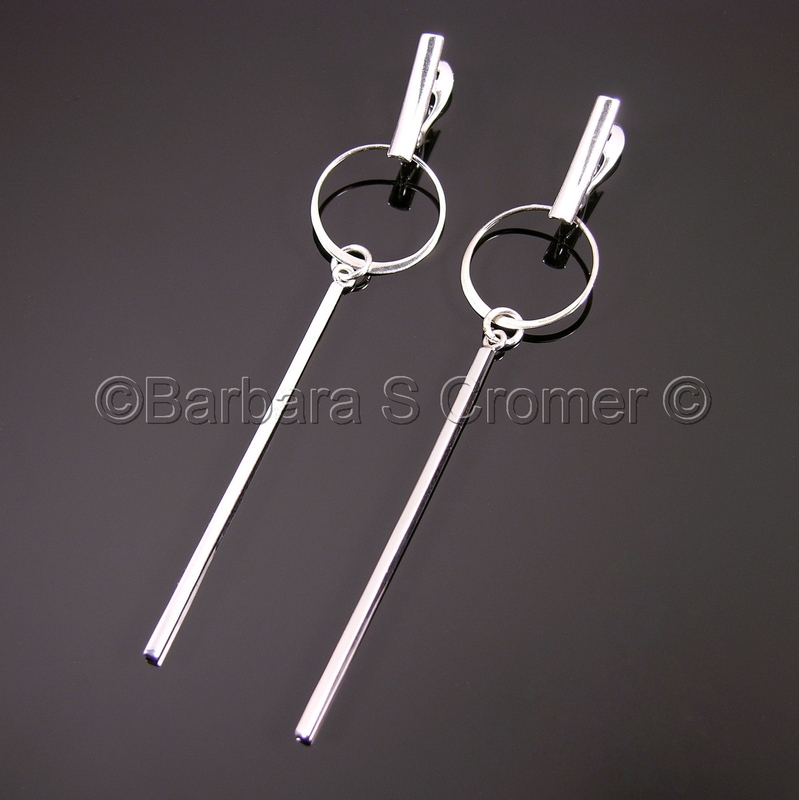 Simple, modern, sterling silver, statement earrings consist of modern handmade circles, with long sterling rectangles. Modern, Euro-style, locking lever back ear wires. 3.75 inches overall, hang about 3.25 inches below ear.